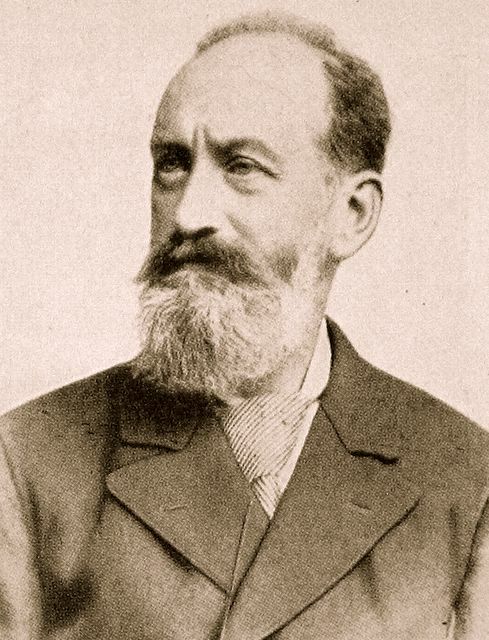 Carl (or Karl) Joseph Millöcker ((1842-04-29)29 April 1842 – (1899-12-31)31 December 1899), was an Austrian composer of operettas and a conductor. He was born in Vienna, where he studied the flute at the Vienna Conservatory. While holding various conducting posts in the city, he began to compose operettas. The first was Der tote Gast, an operetta in one act, premiered in 1865 with libretto by Ludwig Harisch, after the novel by Heinrich Zschokke. The international success of Der Bettelstudent enabled him to retire from conducting. However, he never achieved a comparable success afterward. Carl Millöcker died in Baden bei Wien; on 31 December 1899, he was buried in an honorary grave in Vienna's Zentralfriedhof cemetery (group 32, A35). See List of operettas and operas by Carl Millöcker. ^ Abraham, Hedwig. "Der Wiener Zentralfriedhof, Ehrengräber Gruppe 32 A" (in German). Vienna Tourist Guide. Retrieved 11 October 2007. ^ (Heike) Tita Büttner (March 2007). "In the Footsteps of Vienna's Famous Musicians". Vienna Tourist Board. p. 12. Archived from the original (MS Word) on 28 February 2008. Retrieved 11 October 2007. Wikimedia Commons has media related to Karl Millöcker. "Short biography and discography". Naxos. Retrieved 2007-10-11.